The media is very focused on China, and that’s because the strategists and the economists in the US and the media of course cannot accept the fact that they completely mis-predicted economic activity in the US and so they have to blame something else for the decline in the stock market. Luckily, they’ve now found China. In fact, yes, China has numerous problems but they should not overlook that China has also been the contributing factor to growth post the financial crisis in 2008. We have now this adjustment in China on the downside but if you buy US stocks, domestic shares, what do they have to do with China? Nothing at all. The multinationals have something to do with China but actually, the business in China for the multinationals is not a disaster. It’s actually much better than in the US. So to blame China for all the decline is misplaced, in my opinion. Not that I’m bullish on China. As I mentioned, and I’ve written about this numerous times for two years now, it’s very clear that for the last two years the Chinese economy was de-accelerating very badly. That is crystal clear. But the bullish fund management industry and the strategies that the economists and of course the banks that do business in China, they don’t want to write anything negative about China, because that could impact their business. So of course they joined the cheerleaders, insisting that everything is fine. As far as where China will go from here, nobody knows precisely where it will go. In my view, it will continue to deteriorate and possibly badly. On the other hand, the longer-term outlook is still rather favorable. It’s just that in an expansion or in a long-term rise of a country you can have huge setbacks. I’ve lived in Asia since 1973. We had the ’73/’74 recession, the Hong Kong Stock Market went down 90%. We had in ’81/’82 a recession and markets sold off, property markets sold off. Then in the crash in ’87 the Hong Kong Share Market was closed for four days after it had declined by 50% in one day. Then we had the peak in Japan in 1990 from where the market went down 70% and so forth and so on. Then we had the Asian crisis and we had a bear market in 2003 and again the bear market in 2009 but Asia continued to grow. I think the growth will now slow down, but Asia’s a big region, as is China. So you can have, like in the US, maybe one state is contracting like in the mid-’90s we had a property crash in California but the other states were still expanding. We can have some sectors in China, like steel and copper and heavy industries that are all contracting. On the other hand, there may be other sectors that are still expanding. As far as getting real, valid news on China and Asia, there’s a lot of research out there but some of it is quite expensive so it’s unsuitable for individuals. 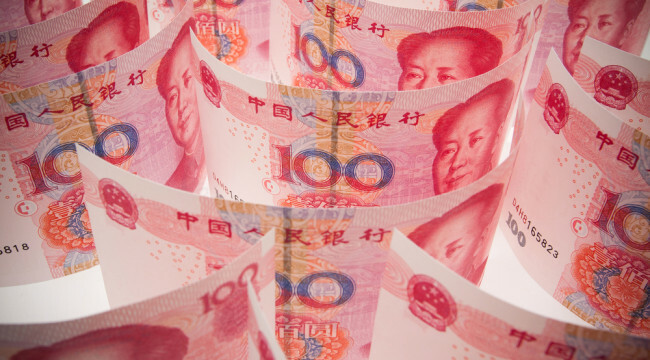 John Anderson of Emerging Market Advisers writes regularly about China. Then we have also banks that write regularly about China statistically. What they publish is probably correct except the GDP figures are not correct but the rest is probably correct. Jim Walker also has the Asianomics service that is very good about China and Asia in general. There are a lot of sources. As far as a Chinese recovery, and whether or not world trading and market averages become more buoyant, and whether or not Chinese weakness is the proximate cause of problems worldwide, I’m not sure. But I think it’s not like we will recover any time soon. I think the news out of China will not improve much. I rather think that what could result is a bear market rally that can be quite powerful because we’re very oversold. Last Friday [Jan. 15] we had I think 900 daily new 12-month lows. This is indicative of an extremely, extremely oversold condition. But the oversold condition follows a period during which the market was continuously over-bold. So it doesn’t mean that the market will make a new high from this oversold position. I rather think, and I’ve written about this in my newsletter, that between around 1980 at the present time on the S&P and the high 2,134 of last May, there is huge resistance now. It will be very difficult for the market to go through. But it will depend on how much money the Fed decides to print, so that we don’t know. I think they will print, or they will cut rates. We just don’t know. And in the case of China, growth, which averaged, say, between 8% and 12% for the last 15 years, in my view will slow down to a pattern of, say, around 4% to 6% per annum maximum. Maybe trend line growth will be just 4% – maybe the government will show 6% but maybe just 4%. So the demand increase, the incremental demand that china had for commodities is not going to come back. It’s not going to collapse but it won’t increase at the same rate. Because we had huge investments in the resource sector there is at the present time sufficient supplies whereby particularly in agricultural commodities there may be shortages developing in one or the other commodity because of natural disasters like floods or droughts and so forth.